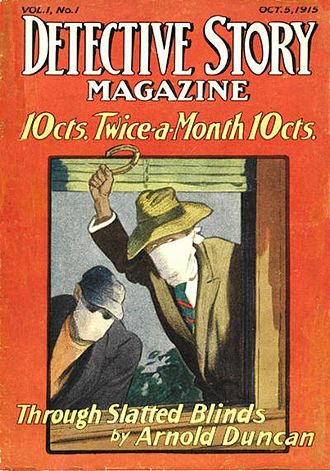 Around 1920, a US pulp magazine published an encrypted message exchange in its “missed persons” column. The cleartexts might refer to a familiy drama. 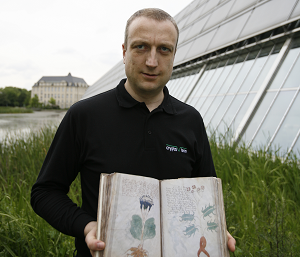 Even two of the world’s greatest codebreakers apparently could not make sense of these cryptograms. 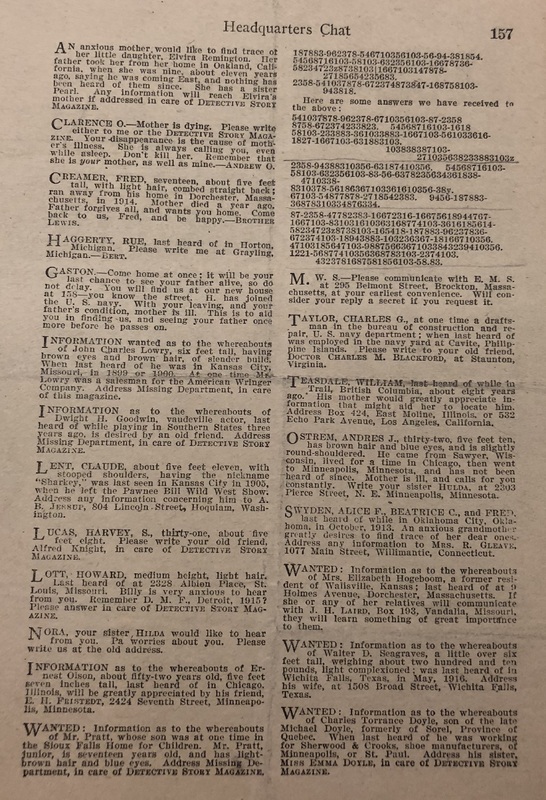 Encrypted newspaper ads are a fascinating topic. I have written about this way of secret communication many times on this blog. 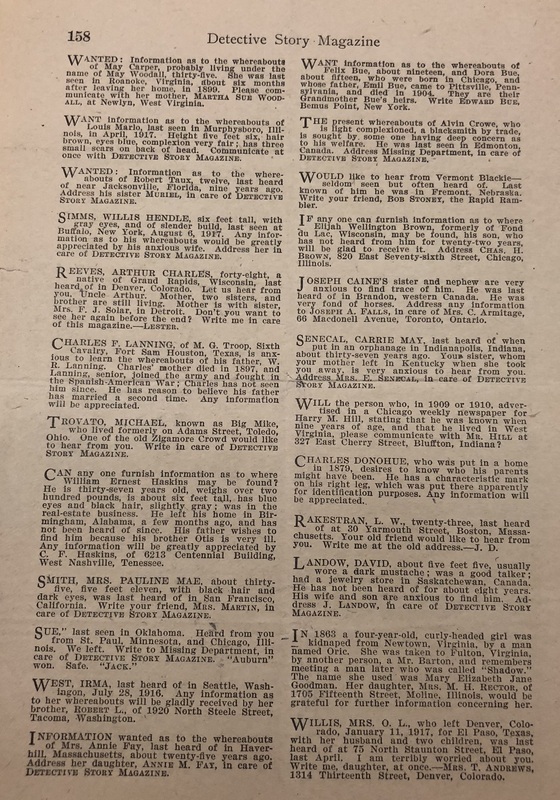 When I recently searched documents left behind by master codebreakers William and Elizebeth Friedman in the New York Public Library, I encountered an encrypted ad in the Detective Story Magazine, a successful pulp magazine, which ran from 1915 to 1949 (1,057 issues). To my regret, these two pages from the Detective Story Magazine are not dated. It is not clear, in which issue they were published. As the material in the New York Public Library is from the Friedman’s Riverbanks years, this item was probably collected before 1921. A message exchange with a missed person? 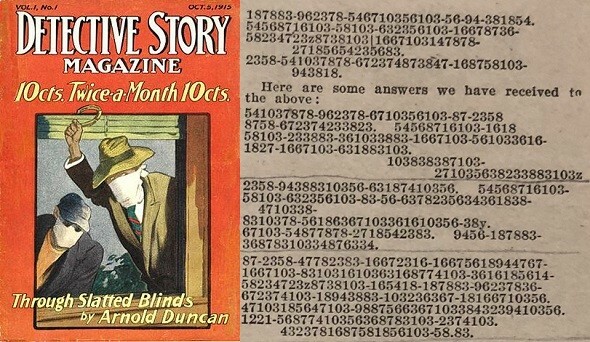 Apparently, the first part of these number sequences were published in an earlier issue of the magazine. The second part lists replies sent in by readers. 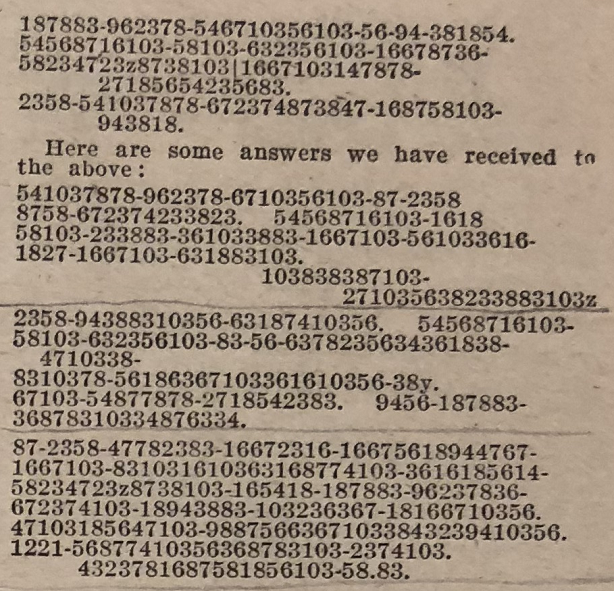 Is this is a cryptogram sent in by a reader hoping that other readers would decipher it (see here for a similar story)? I don’t think so. It looks more like an encrypted message exchange, perhaps between a person who has disappeared from home (after all, this is a “missed person” column) and his or her family. Apparently, the Friedman’s couldn’t make sense of these messages, otherwise they would have left a comment on this sheet. Can a reader decipher this message exchange? If so, we might learn about a family drama that took place about 100 years ago. Apparently, the Friedman’s couldn’t make sense of these messages, otherwise they would have left a comment on this sheet. Thank you very much! Another mystery solved. How did you figure out that the 2 (or 3 for e) digit substitution worked? And how did you decide what numbers to use with each letter?